During last week’s pre-match Aberystwyth Town press conference, TNS manager, Scott Ruscoe, mentioned that there was a friendly coming up on Tuesday. Immediately afterwards I asked him who it was against. 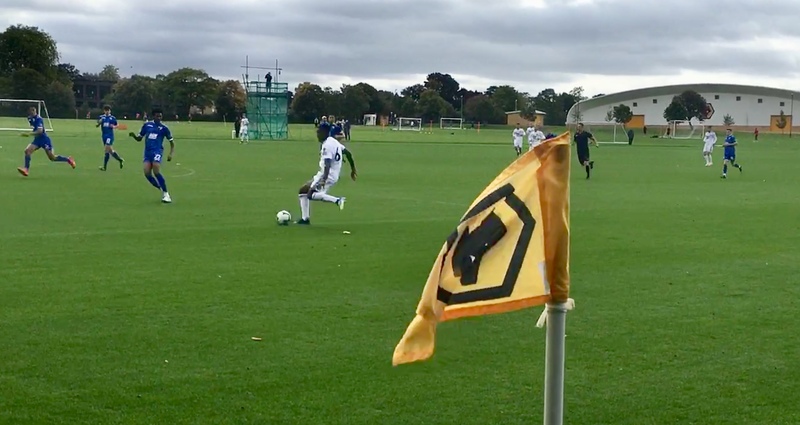 Wolves U23s at Compton. That was my Tuesday sorted. As the Sir Jack Hayward Training Ground is just a few miles away from where I live, I made my own way there. I did speak with the Wolves’ head of media prior to travelling though, just to make sure I could get in without any issues. I usually travel on the team bus to these type of games so there’s no problem getting entry but you wouldn’t believe how difficult it is for even club officials to get in training grounds when they travel independently. It’s easier to pass through passport control at an airport than it is to navigate a man in fluorescent jacket at an English Premier League base. Anyway, Wolves proved to be totally hassle-free and there were no issues whatsoever. Once in and parked, I met up with the TNS staff and players, who had only just arrived themselves. I loved the experience, especially so when you consider that I went to my first Wolves game in 1963 and had a season ticket right up to the time I started working with The New Saints. People always ask me who am I supporting when the two teams play each other (this was my third visit to Compton and I’ve seen Wolves twice at Park Hall). I naturally find myself wanting TNS to win, after all it’s where I work, I’m part of the club and I know the players. I even watched today’s game from the bench. Everyone in football supports someone, say for example the Arsenal manager is a Liverpool fan from his boyhood. When the two sides play though, does he want them to win? Of course not, he wants Arsenal to triumph. Following the game I interviewed Scott Ruscoe.